COLOGNE/CAPE TOWN– China is reportedly planning to station an elite special force from it’s red army in Zimbabwe, as Beijing moves to crystalize military cooperation with Harare, amid growing fears that the Asian powerhouse has formally approved plans to commence construction of an underground military base in the country, Spotlight Zimbabwe, can exclusively reveal. This publication’s sister website, The Telescope News, first broke the story about China’s planned secret state of the art underground base in the diamond rich Marange fields in eastern Zimbabwe in December 2014, which was going to be equipped with advanced radar systems, an operational control tower and other world class aviation technology facilities. Our disclosures resulted in a United States panel on Africa interrogating the matter during a hearing on Zimbabwe by the Subcommittee on Africa, Global Health, Global Human Rights and International Organizations in 2015, thus raising alarm in Washington which was worried about China’s growing influence in Africa. California Congresswoman, Karen Bass, went on to seek clarification on the issue from then U.S. Deputy Assistant Secretary of State for African Affairs, Dr Shannon Smith, who had returned from a visit in Harare, but she was not provided with a direct answer. The new mystrey of China’s red army’s special force stationing in Zimbabwe, also comes barely a year when Spotlight Zimbabwe, reported that China has reportedly deployed and installed a dreaded new generation of surface-to- air missiles (SAM) in the country. 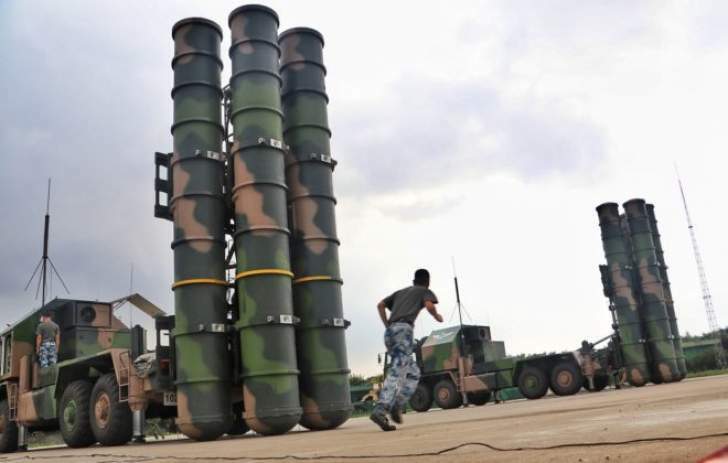 Experts say the SAM technology is similar to the one, which Beijing deployed to the South China Sea on Woody Island, comprising of her latest HQ-9 missiles. It is thought that the special force, is primarily concerned with protecting China’s new military base in Zimbabwe, her huge diamond claims and gold mines across the country, where some of the SAM technology is believed to be installed. According to a former minister with a security related portfolio in one of ex-leader President Robert Mugabe’s administrations, whose story has been corroborated by Asian diplomatic sources in South Africa, China has been working on sending her special military force to Zimbabwe since 2014 “to offer technical assistance and support” to the Zimbabwe National Army (ZNA), and an agreement was finally reached the following year between the two countries through their defence ministries and army leadership, but Mugabe called it off on the eleventh hour, after accusing the Chinese of corruption, and the plunder of diamonds in Marange. Mugabe it is also now coming to light, had become suspicion of his then deputy, President Emmerson Mnangagwa’s relationship with China, and that he was courting their support to replace him under the guise of war games and military exchanges with the red army. The Communist Party of China, invited Mnangagwa to visit Beijing from July 6 to 10 2015. During this stay, he met business leaders and senior ruling party and government officials including former Chinese Vice-President Li Yuanchao. Zimbabwe is a hotbed of Chinese investments topping billions of dollars across key economic sectors of mining, agriculture, and telecommunications. Chinese businessmen are involved in farming formerly white-owned commercial farms, and Beijing has won a contract to construct the country’s new capital city in Mount Hampden, including a new parliament to be built at a cost of US$46million. A video showing Chinese soldiers singing a native Shona war cry song alongside their Zimbabwean counterparts in a bus at an unknown location went viral on social media last year, igniting speculation of Chinese military assimilation into the Zimbabwe army. Army public relations staffers yesterday could neither confirm nor deny that China was about to deploy a special force in the country. There is no doubt that China has played a major role in prop up Zanu PF and helping the regime rig elections for the last 38 years. Getting the regime to step down following last year’s rigged elections is not going to be easy but the longer the regime is allowed to stay in power the harder it is going to be. There is no doubt that China has reaped great economic rewards from its 38 years close relationship with Zanu PF and the Asian nation would want to retain its influence on Zimbabwe. And with each Chinese soldier or military equipment they bring into the country they will be that much more certain of consolidating their hold on Zimbabwe. We, the people of Zimbabwe, must redouble our efforts to get Zanu PF to step down NOW so we can implement the reforms and put the nation back on the democratic track or we are doomed! Deal with it Spotlight Zimbabwe. China has taken over, not just Zimbabwe but the world. Zimbabwe is now officially a Chinese African province. Thank you Itai and Mary-Kate. What a powerful combination you make you guys. This is real news and not easy to come by. I have since given up on the paid for mainstream media.